Meet Living Coral, the Pantone Color of the Year for 2019! What is "color of the year" you might ask? Each year, Pantone forecasts a color they believe encompasses the trends and influences for the coming year. For the past twenty years, Pantone color experts have researched the entertainment industry, art collections, fashion trends, and even socio-economic conditions to determine which color with earn the coveted title for that year. This chosen color will go on to affect product development and purchasing across multiple industries including fashion, home furnishings, industrial design, product packaging and even graphic design. It’s safe to say the Pantone Color of the Year is a pretty big decision! This year’s color, Living Coral (16-1546) is “an animated and life-affirming coral hue with a golden undertone that energizes and enlivens with a softer edge.” Living Coral is all about embracing vitality and vibrancy. The shade is bold and attention grabbing, yet it still remains a feeling of familiarity and comfort. The Pantone color this year focuses on authenticity and connection in light of the digital age and social media-focused world we live in today. Focusing on optimism and lightheartedness, Living Coral is passionate and playful. Wondering how to incorporate this bright and bold color into your home? The task might seem daunting at first due to its vibrant hue, but don’t let it scare you. A few subtle touches of Living Coral will go a long way to transform your space and keep you on trend. 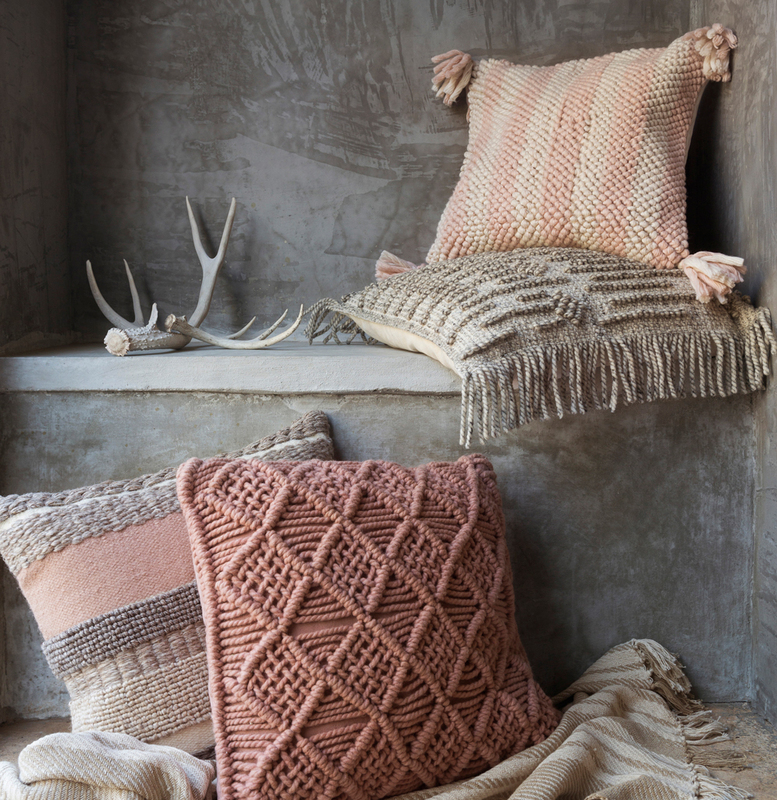 From a trendy piece of wall art to a soft and fuzzy throw blanket, you can add a pop of Living Coral anywhere in your space to liven up the room and embrace the color of the year. The floor of your space is a great place to begin when you want to change up a room. Switching out the rug can completely alter the vibe of your space and you only have to change one item! 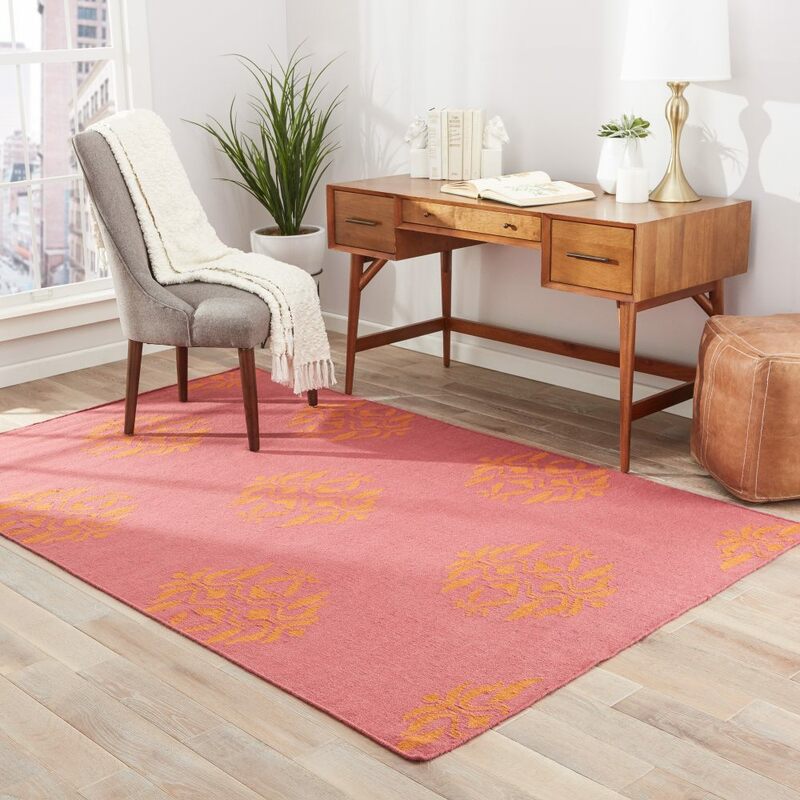 Try the Loloi Cielo Area Rug in Coral & Multi for a light touch of Living Coral with a lively pattern that is still ornate and formal, but adds a light touch with subdued hues of brighter colors. 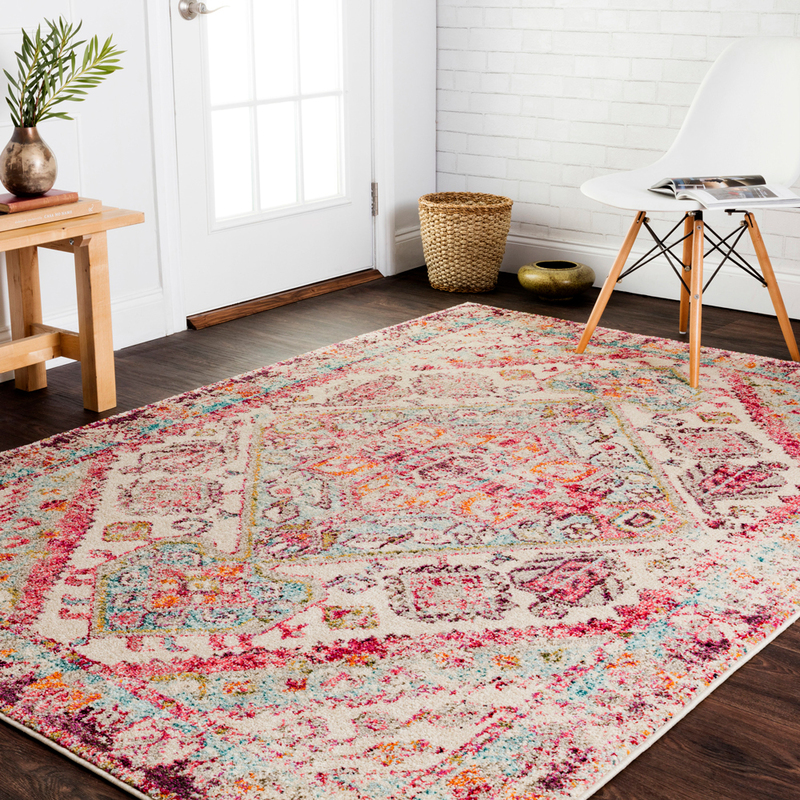 For a more simple rug, go for the Jaipur Paramount Rug in Pink & Gray to neutralize a room in an unexpected way. The coral color adds an air of lightheartedness and simplicity in a new take on the classic neutral rug. Looking for a bolder take on the trend? The Jaipur Swane Rug from the Desert Collection in Coral & Green puts a fun twist on the classic stripe rug with on-trend colors like olive green and coral. Embrace Living Color in other areas of your space as well to pull the entire room together. Place a pair of table lamps like the Wildwood Lighting Washington Coral Lamp on an entry table or side table to add interest to an otherwise simple room. Another fun take on the trend is a brighter hue of fuchsia with the Wildwood Home Kelsie Bowl in Fushia. Need to update a sofa? 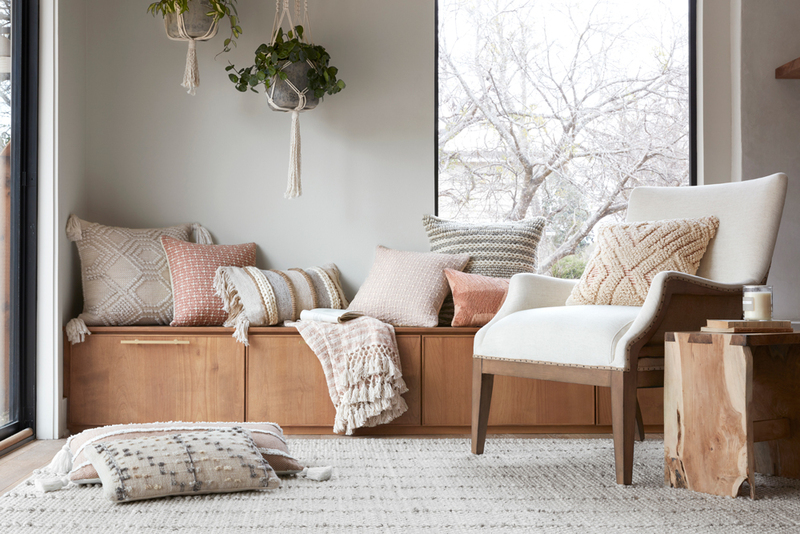 Toss a few throw pillows, like the Magnolia Home by Joanna Gaines Adeline Pillow in Blush, and a plush throw, like the Magnolia Home by Joanna Gaines Anna Blush and Ivory Throw Blanket to add a air of coral to your space.